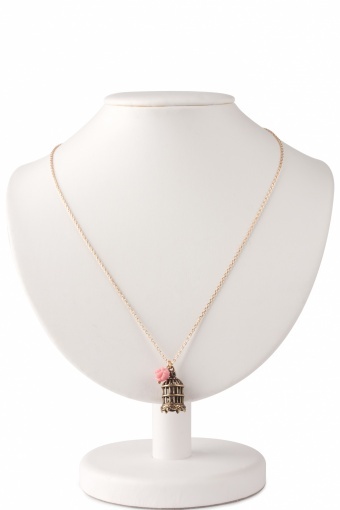 Handmade Love My Birdie necklace gold. 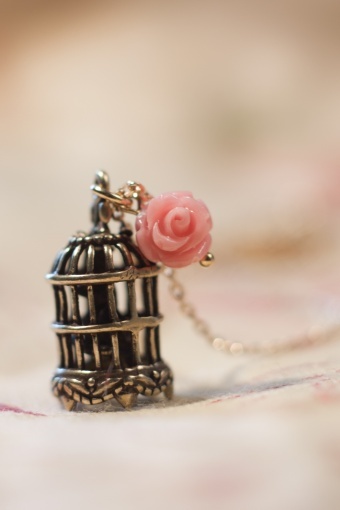 Ah...your heart will melt at the sight of this supercute mini birdcage with birdie and small pink rose made from bamboocoral. 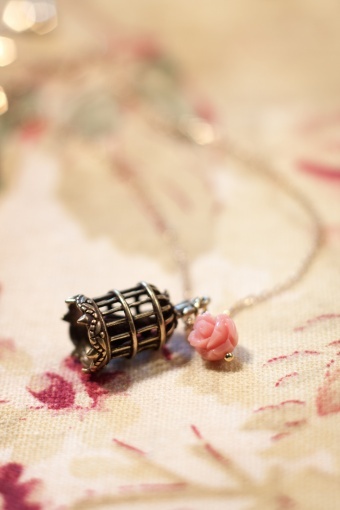 This is an absolutely lovely delicate piece of jewellery which matches perfectly with our romantic dresses!